You know when you receive a new book and you instantly want to sit down and start reading it? 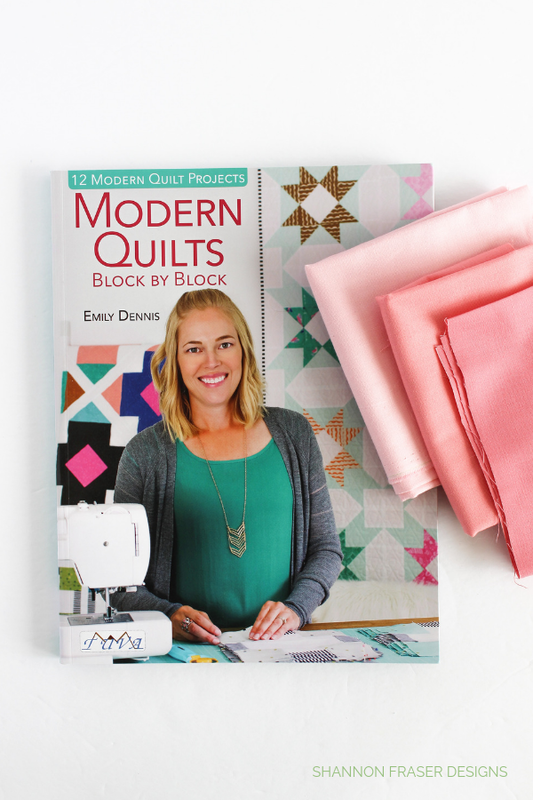 That’s exactly how I felt when I received Emily Dennis’ new book Modern Quilts Block by Block. 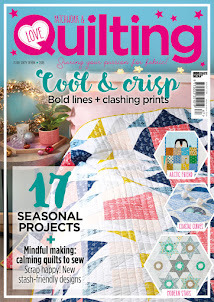 I, unfortunately, did have to restrain myself and hold off until later that night, but ohhh did I ever look forward to some quilty night reading. After snuggling into bed on a chilly night, I was thrilled to see Emily didn’t disappoint! 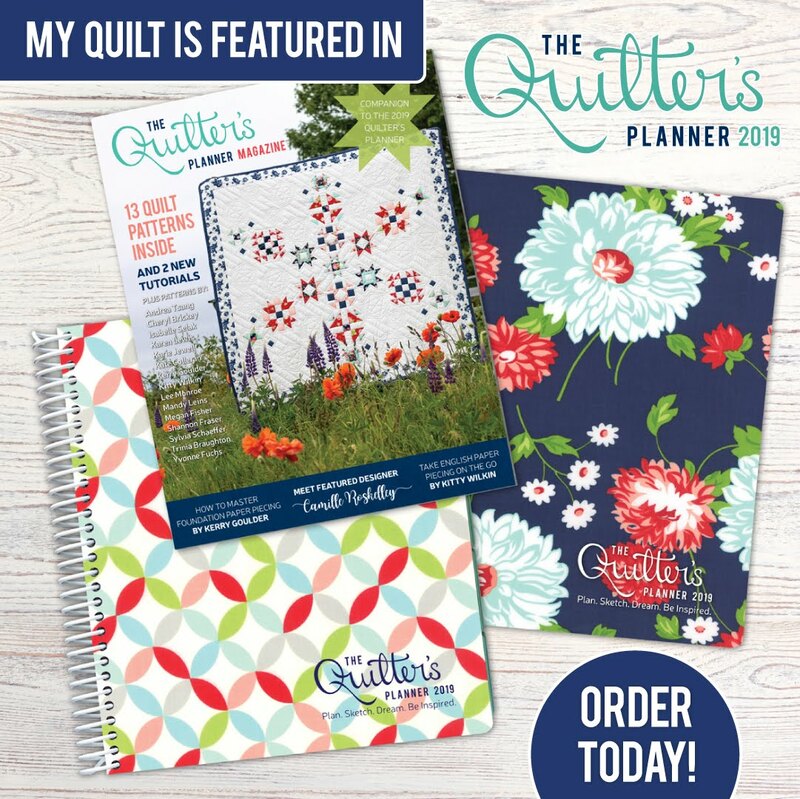 Not only is the photography just stunning and that alone makes you want to create the quilts featured in the book (no surprise as she’s an amazing photographer!). But the way the book is laid out is super user friendly. It’s clear and concise. Not overly wordy but still gives you just the right amount of details so you understand everything in a snap. 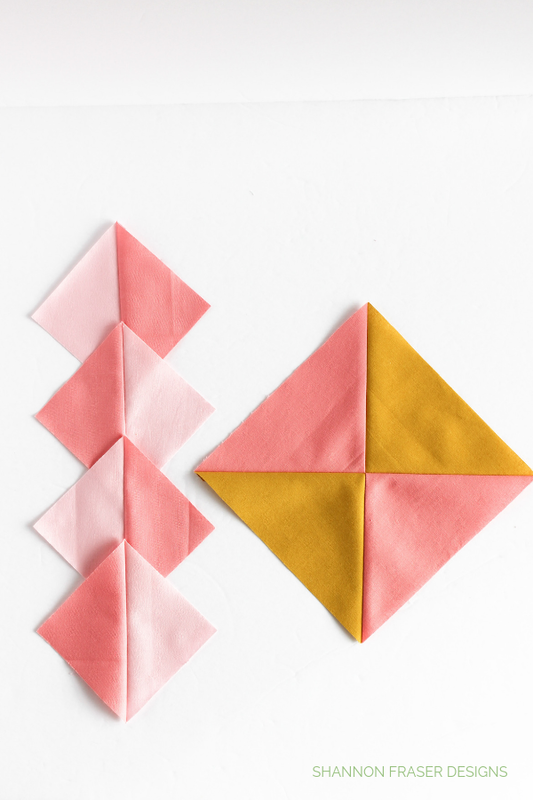 The projects (12 in all) are also super clear to follow with great graphics to help ensure you avoid any fabric cutting mistakes – cause we’ve all been there and ALL want to avoid repeating that! 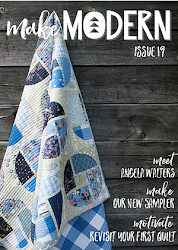 And I LOVE that she included a sampler quilt. 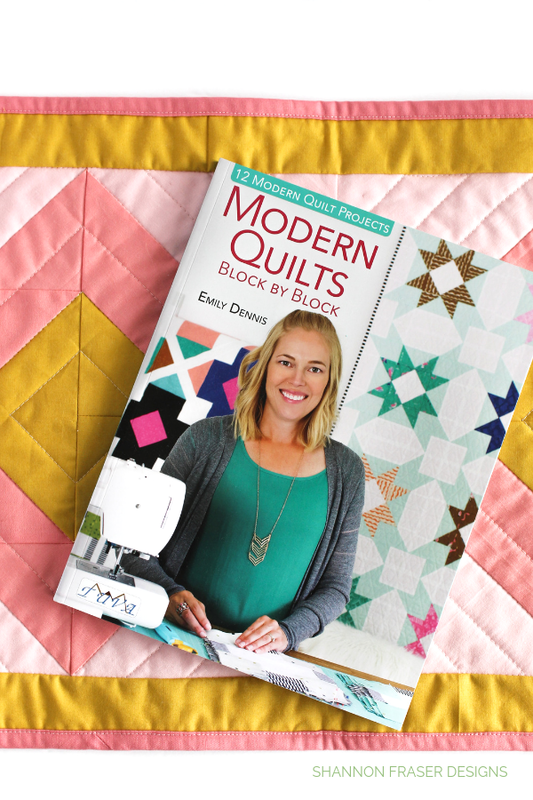 Now, in all honesty, I’m actually seldom drawn to sampler quilts, but the blocks in this book are just so darn cute that I want to make them ALL. 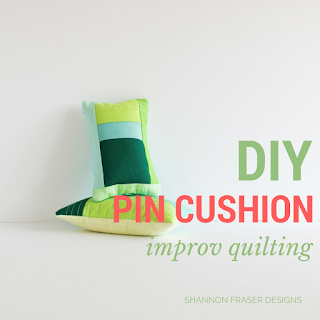 Which is why the hardest part of participating in the sew-a-long was picking just one block! 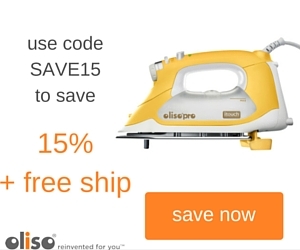 Quilters problems #amIright?! 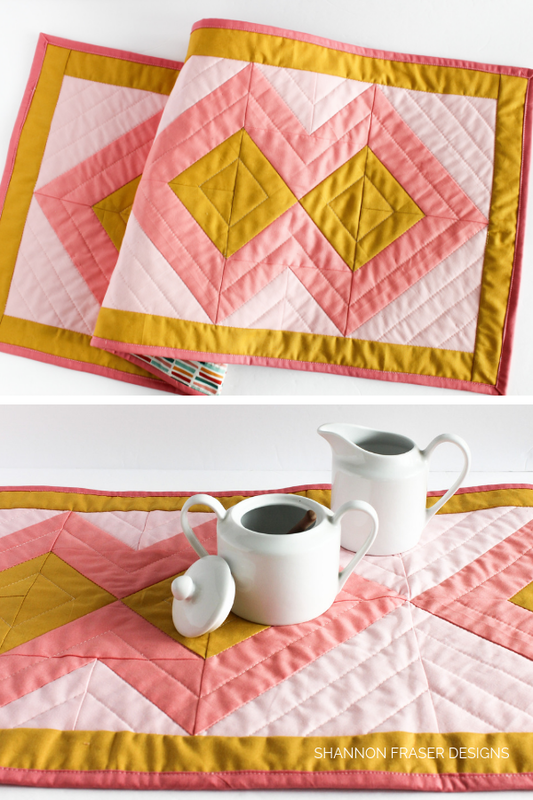 To my surprise I kicked off the fabric selection process with these monochromatic pinks that just kept calling to me. 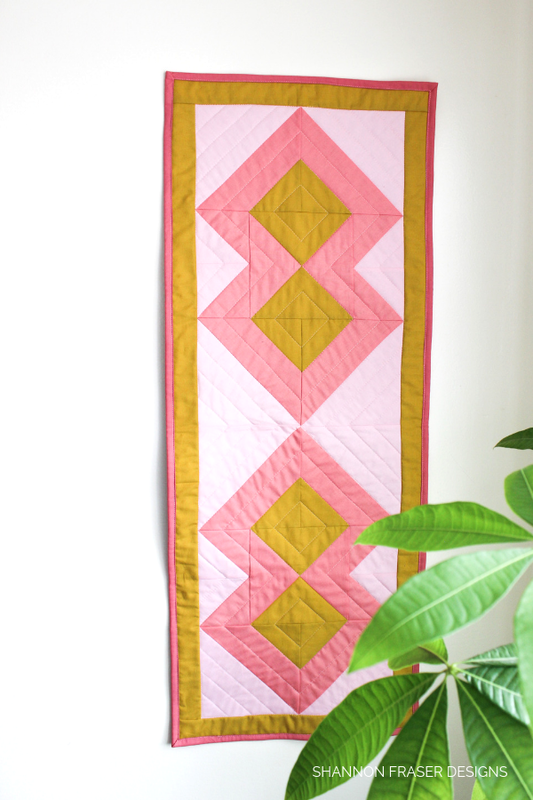 And I would have left it at that, if I had enough of all those colours to make the table runner. Fortunately, that’s how it played out as I ended up pulling in this gold solid that just made for the prettiest combo. 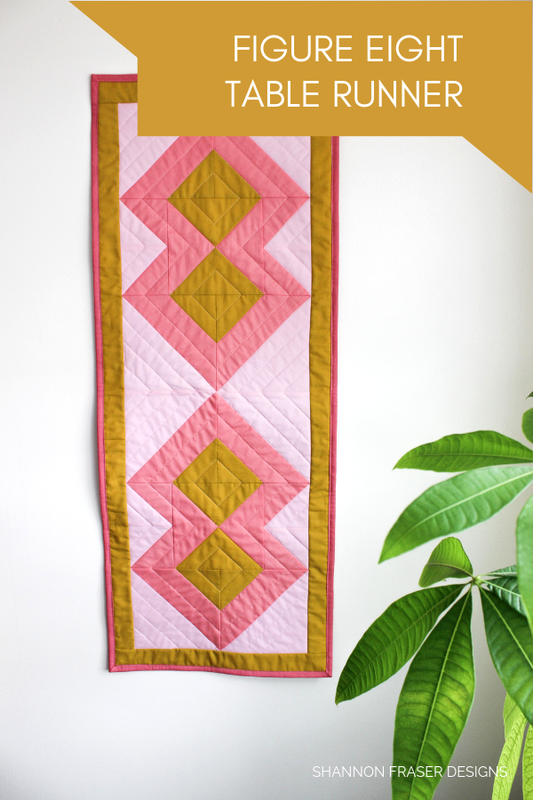 You’ve been loving the pairing as well on Instagram and I’m thrilled to discover such a love for pink + gold. I love it so much, I can see myself returning to this combo soon! 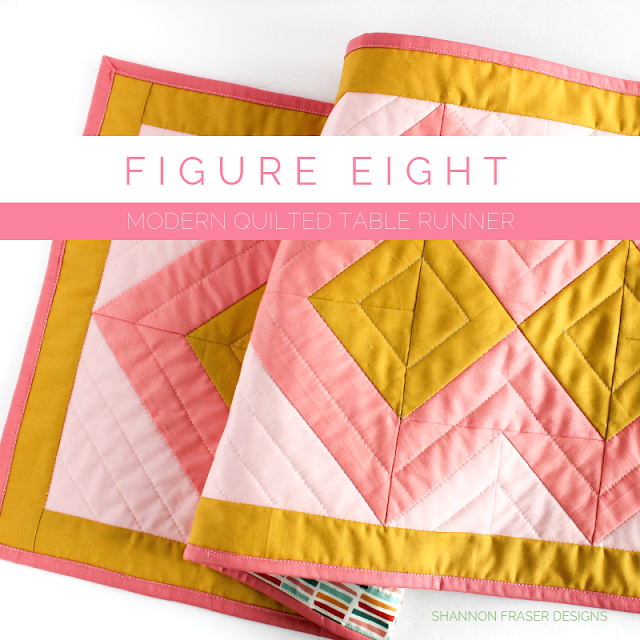 Piecing the top was quick (I mean it is a table runner afterall), but more importantly, it was FUN! 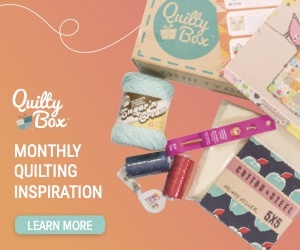 I love seeing a cute block come together and seeing the graphic design of the Figure Eight block was super inspiring. 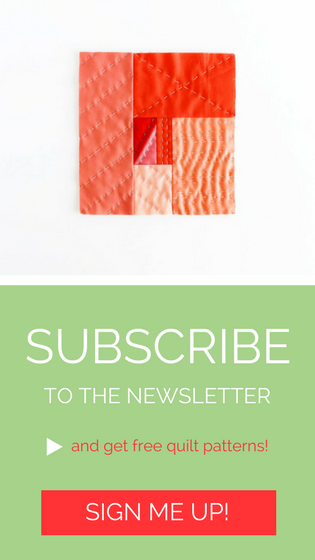 It totally made me want to make a whole quilt featuring this modern quilt block. 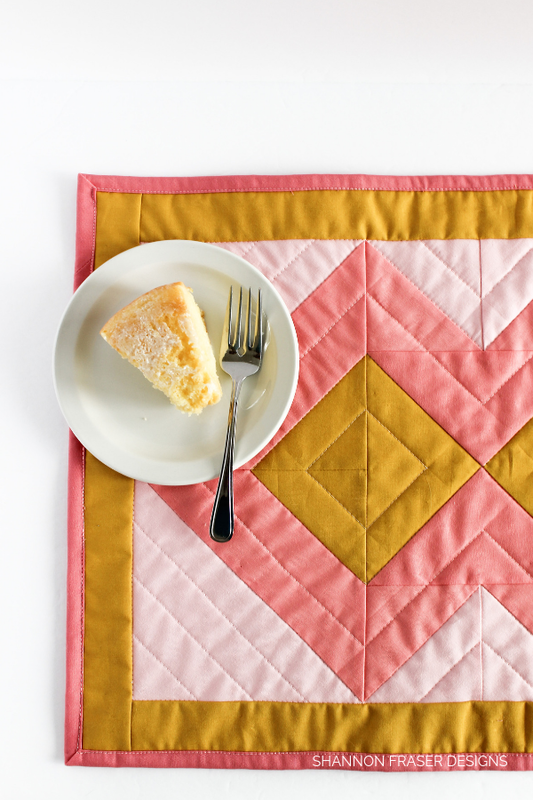 Since I’m hoping this quilted table runner gets USED (my Hexed table runner is still waiting for that to happen….) 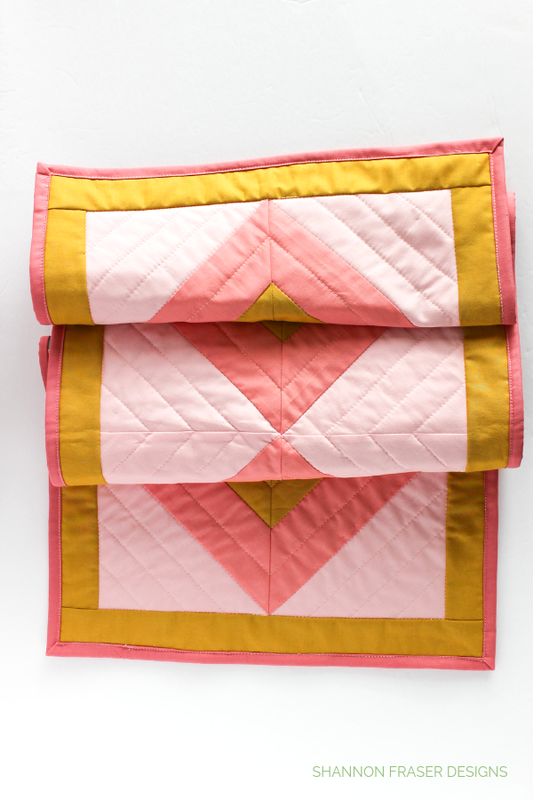 I opted to machine quilt the binding. 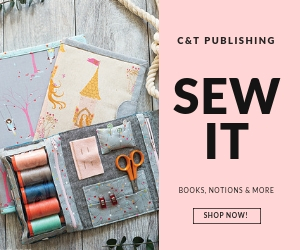 Now, I’m the first to admit that I’m not an expert at machine binding (I discovered Emily has a great post on machine binding). 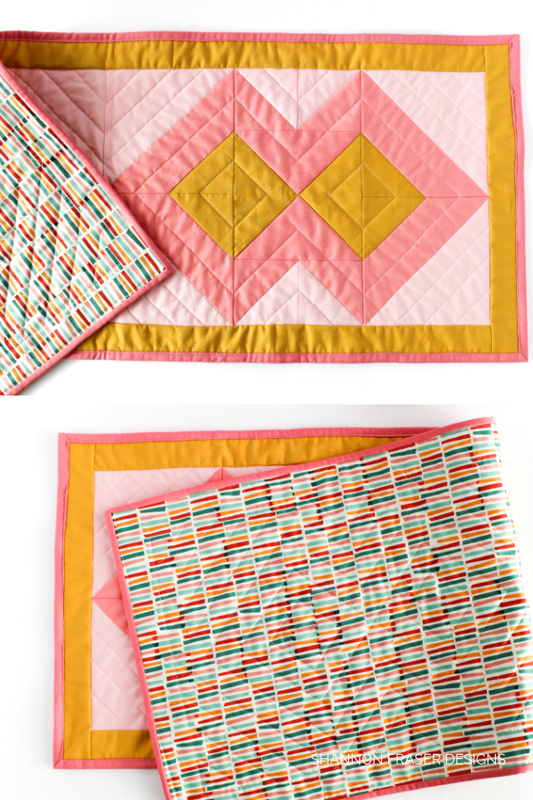 In fact, this is literally my third project I’ve attempted it on (see Pips' food mat and quilted mint block). And, while I have a lot of practice still to go before I feel like my results are worthy, I persevered because if I never do it, I’ll never get better at it. But, I’ll admit, I was tempted to rip out those stitches and finish her off by hand. 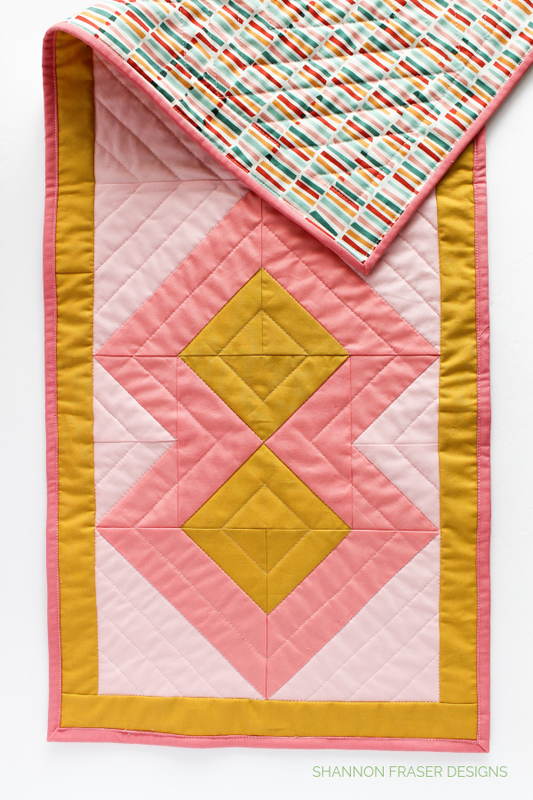 In the end I left it because so many times I’ve looked back at my older quilts and been proud to see some of the mistakes I’ve made. Those mistakes confirm to me just how far I’ve come in my creative journey. 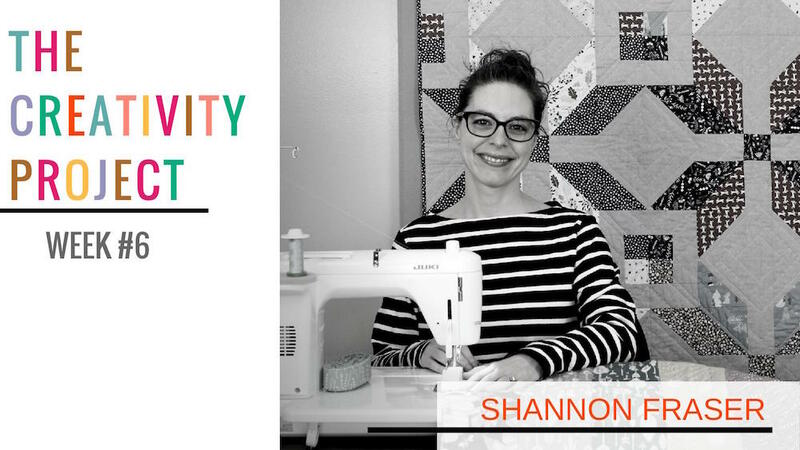 And we’re all on our own unique journey and should be celebrating our discoveries and achievements rather than criticizing our work (which I’m totally guilty of doing when I first started stitching that binding down!). I was beyond touched when Emily extended an invite to join the book hop. 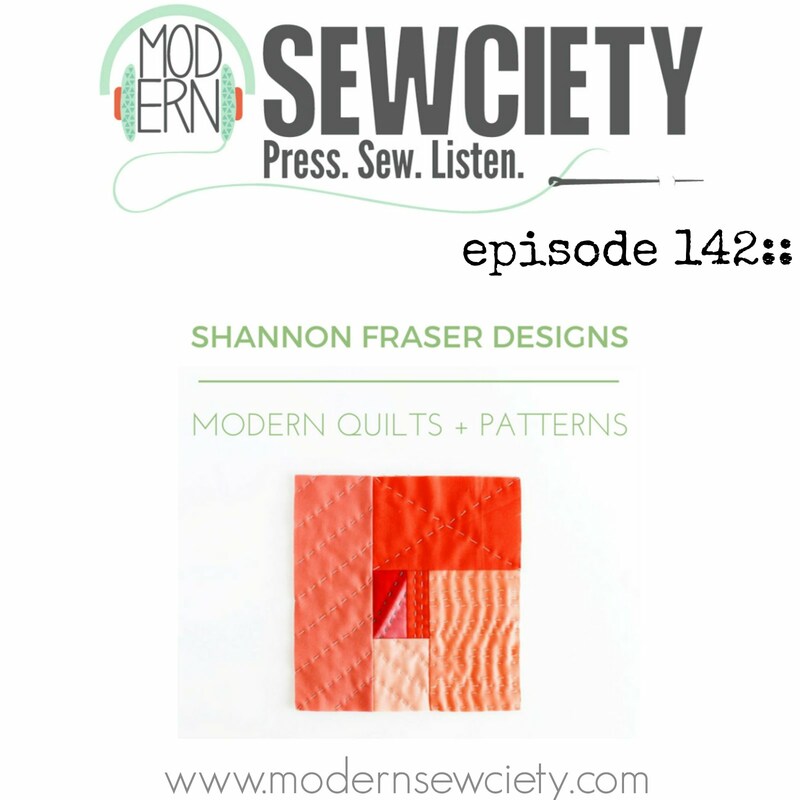 She's an incredible quilter and someone I've long admired in our quilting community. 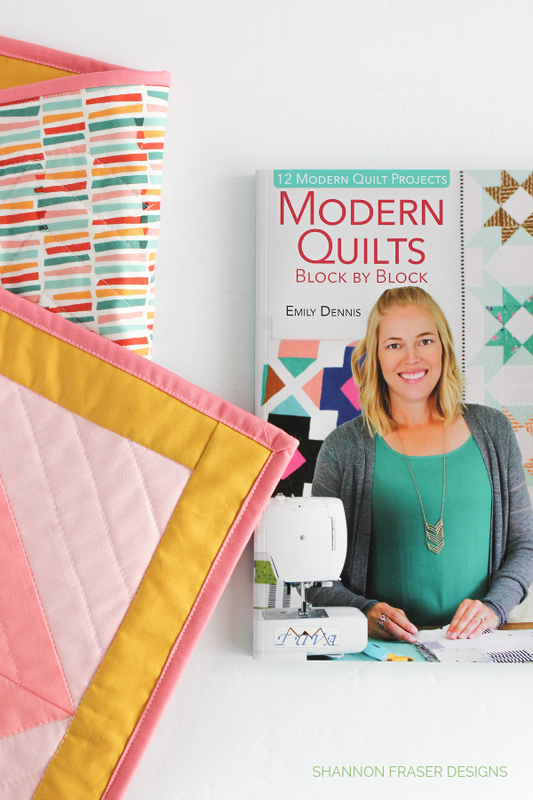 Plus, there are some amazing makers who have joined Emily’s Modern Quilts Block by Block book hop and you can see all the pretty makes using #modernquiltsblockbyblock on Instagram. The book officially released on October 15, 2018 and can be found here and here. 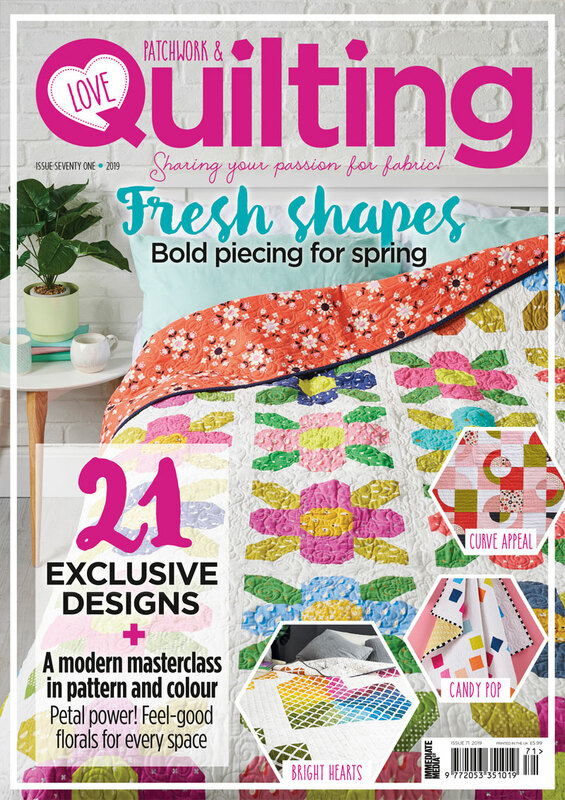 If you’re on the hunt for ideas for your Christmas wish list this would be a good addition 😉 Or grab a copy to gift to your quilty friend – they’ll love you for it! 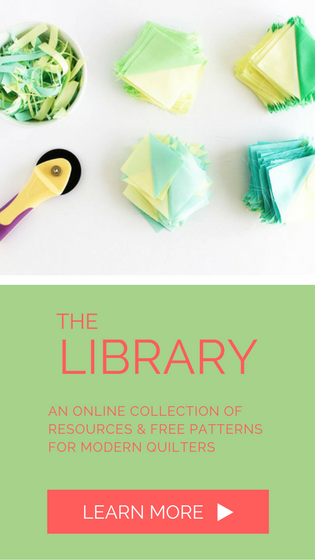 And if you’re not already doing so, hop over and visit Emily’s fun blog Quilty Love and Instagram – the pictures alone are reason enough to follow along! But I personally adore her fun IG Stories that always brighten my day. 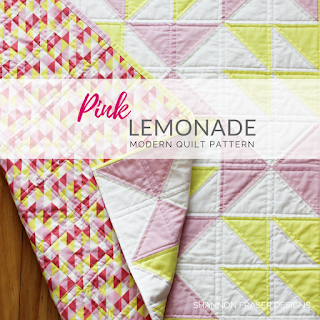 PS I’m knocking this one off my Q4 FAL list and will link up with Crazy Mom Quilts for Finish it up Friday! The gold and coral makes a nice statement. I can't decide if it feels more like a sunrise or sunset! Oh, I love that, Yvonne! Sunrise or sunset – both are beautiful and each have their own special characteristics. Love the mustardy-gold mixed in there! And I like that you’ve decided to leave the binding - it looks beautiful! 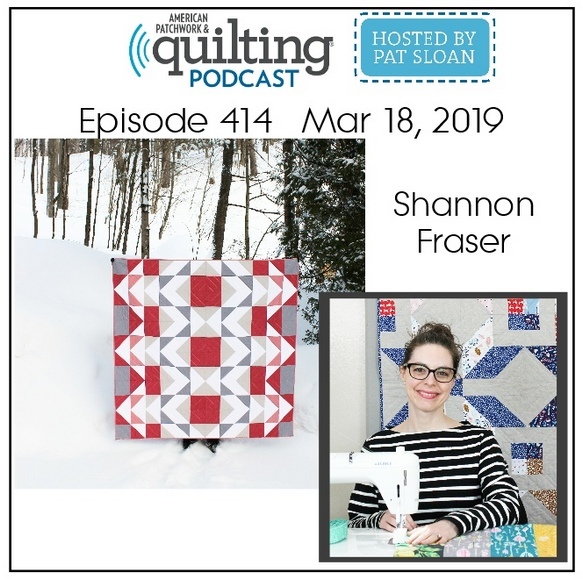 Aw, quilty friends are always so supportive – I love that about our community! Thank you! I’m thrilled you like that mustardy-gold too. Not necessarily the first colour you’d pick up, but I’m surprised by how much it works and just pulls the design together!